When we were in the market for our first house six years ago, we pretty much relied on our realtor for everything: She found listings for us and she took us to see the houses. This time around, things are a lot different than last time. Though we still relied on our agent to take us to the houses, we told him which house we wanted to see instead. In fact, in the past three months, there was only once that our agent showed us a house first. While house hunting is exciting (well, at least initially), it’s not always an easy process. There are a couple of online tools that help us make the process somewhat manageable. The first is Redfin.com. I first learned the website from Jim when he talked about his house buying experience using Redfin. Immediately after I tried it, I liked it very much and it became the indispensable tool for our house hunting. What I like the most about Redfin is that it shows houses on Google Map (meaning you have all the features of Google Map such as map view and satellite view, etc. ), so you know where the house is, whether it’s in the area you are interested in or not. All other listing websites I used usually display a very small view of the map with the location of the house. Unless you are very familiar with the street, you probably won’t have any idea where exactly the house is until you zoom out. The way Redfin shows houses currently on the market is much better than the more traditional way on other listing websites. Redfin is a basically our choice for online research because of the rich information it provides and the way the information is presented to users. Unfortunately, right now Redfin is available only in limited areas. If you want to search houses in metro areas such as DC, NY, LA, Boston, or Chicago, I am sure you will also find Redfin is an excellent tool. It also has an iPhone App to make research even easier if you have an iPhone. Another tool is listingbook.com. I didn’t use it to research listings like I use Redfin. 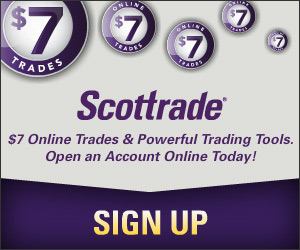 Rather, I use it to send me daily alerts when there were new listings on the market. At listingbook.com, I can enter criteria for the kinds of houses I am looking for. Every morning, it will send me a report of new listings from the day before as well as price changes. I am not sure about other websites, but listingbook.com lets me enter multiple locations, so I can have the houses for sales in the areas I am interested in on one single page, which is quite convenient. What tools are you using for house hunting? My job is moving to Indianapolis next year. I was lucky enough to stumble on a site called mswoods.com. The unfortunate bit is I think they’re only in the Indy area. But they do show the home’s location on Google Maps, have a ton of filtering criteria you can use like school district or hardwood flooring. They also send me daily emails when a new house meets my search criteria or one that I’ve seen before has a price change. None of these tools work out of the major metro areas. Don’t you know of any tools for rural areas as well? You may want to check your local realtors’ websites. They usually have listings for local areas. I found a few local agents whose websites provide quite comprehensive listings. 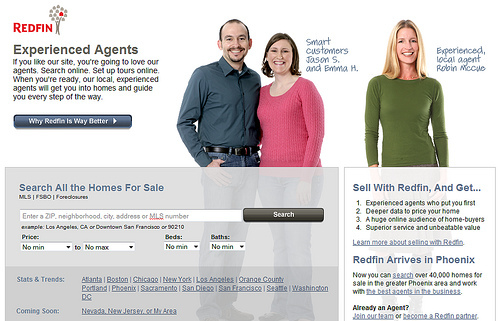 Although you used Redfin, did you use a different agent to complete the purchase or did you use a Redfin agent? What were some of your considerations in either using a traditional agent, using a Redfin agent, or going without an agent?